Stapler's Strategies: I've been awarded the Versatile Blogger Award! 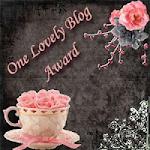 Mary at Pitner's Potpourri has awarded me the Versatile Blogger Award! Yes, I am thrilled, thrillled, thrilllled! 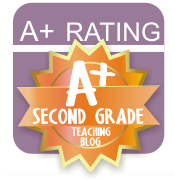 Here's what happens when you receive this award: thank the person who gave you the award, tell seven things about yourself, and pass this award on to fifteen other blogs that you think deserve it. Thank you so much, Mary! I am so excited! I'm glad I could pass on the Goldfish Colors activity. A student teacher did something similar in a class next door to me a couple of years back. I just jazzed it up a little, then took some pictures. 1. Jesus is my life! 2. I love my family! My husband, son, and I live next door to my parents and 1/2 mile (through the woods) from my brother and his family. 3. I love reading everyone's awsome ideas. 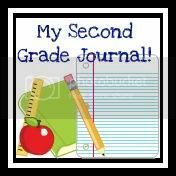 Blogging has quickly become a mainstay in my "teaching" diet...my classroom has benefitted greatly from all my wonderful finds! 5. I won a beauty contest at age 12. I was in seventh grade and my friends talked me into entering. They loved saying, "I told you so!" to me afterward. 6. I love, love, love to read. Reading is my way to relax and escape from everything! I also have a mind like an elephant (almost! )...I remember everything (loads and loads, anyway). 7. I play piano and organ. I've played in 35+ weddings and a few funerals as well. 2. 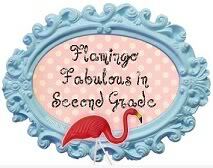 I know that second grade rocks! 3. I just found Sturch's Second Grade Stars...check them out! 4. Swimming into Second is always on the move! 5. Here's another blog I just found...excellent! 6. 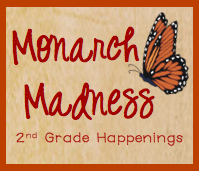 I've been checking in with Mrs. Lemons since I started blogging back in July! 7. I wish I could visit Down Under...this is as close as I 've gotten so far and I love it! 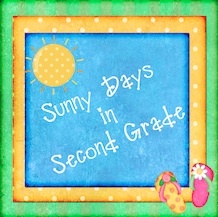 15. and finally, keep on Learning in 2nd Grade! Thanks again for the award, Mary at Pitner's Potpourri! Thanks so much for the Award! You Rock!! !